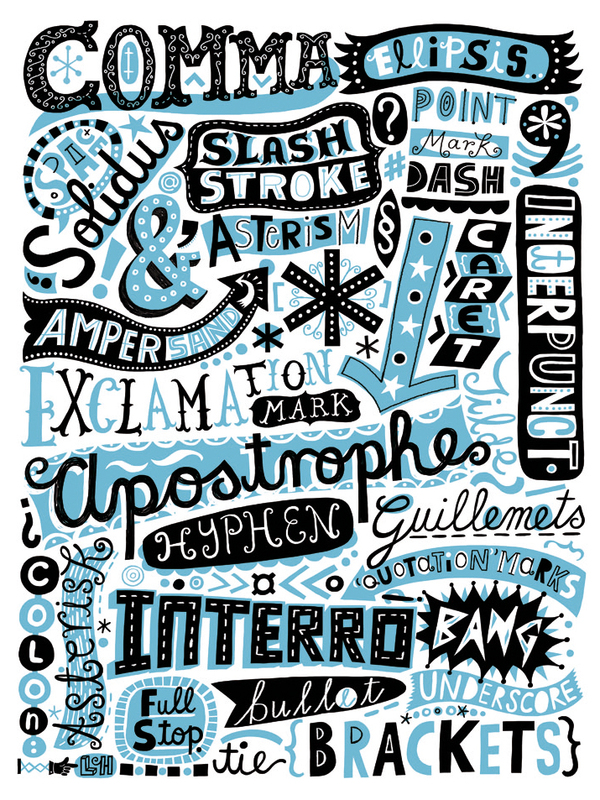 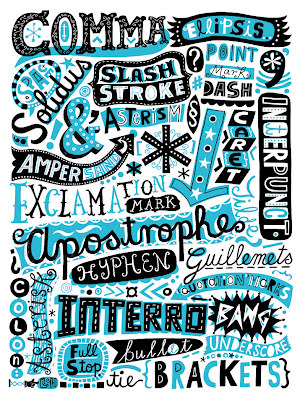 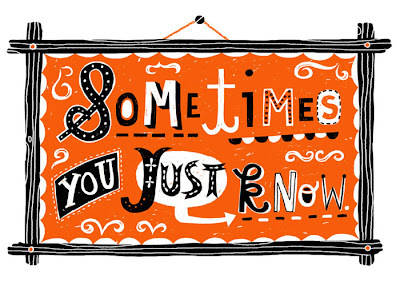 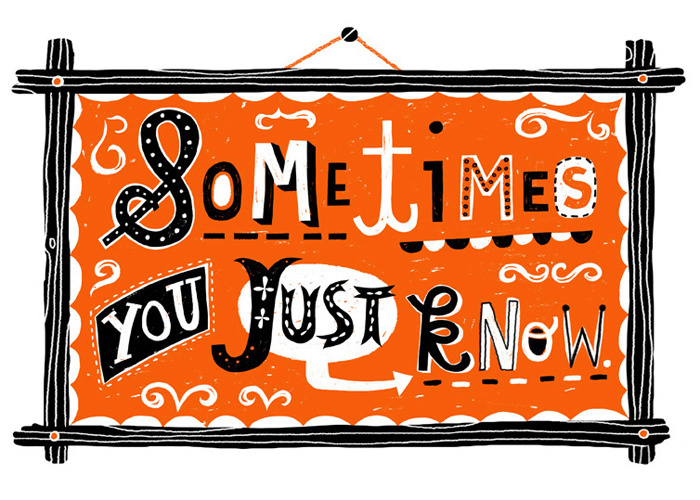 From the desk of British illustrator Linzie Hunter, a master of the handmade letterform. She works in a variety of media, but produces much of her artwork digitally. 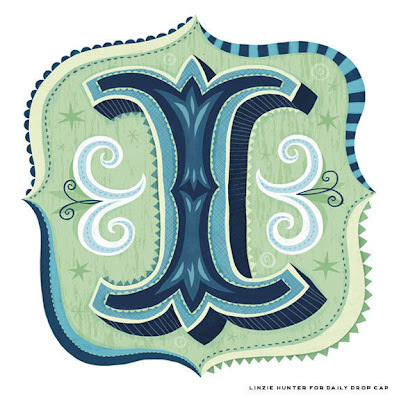 The letter "I" above is her guest artist contribution to Jessica Hische's current Daily Drop Cap alphabet series. 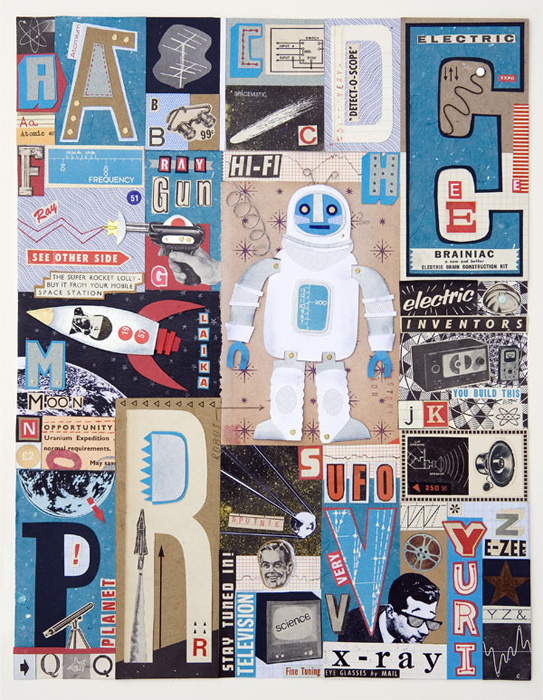 Her delightful Atomic Alphabet below is created in a traditional manner however, all collaged by hand.